What's more, travelers need to be reminded that it is not a cruise-specific virus. Liz Dominguez, Dream Vacations Franchise Owner and Vacation Specialist in Jacksonville, Florida, is ready: “I have been very lucky thus far to not have clients ever raise concerns with me when norovirus on a cruise ship makes the news. That doesn’t mean I haven’t prepared for the day that they do contact me though. 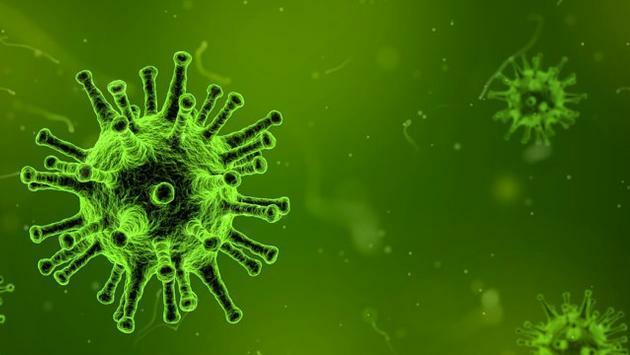 “I have found the Centers for Disease Control (CDC) website to be a reputable source of information on norovirus in general and on cruise ships specifically. There are statistics and tips listed which are [an] easy read to educate yourself as an agent - and also very easy to share with clients should the need arise. 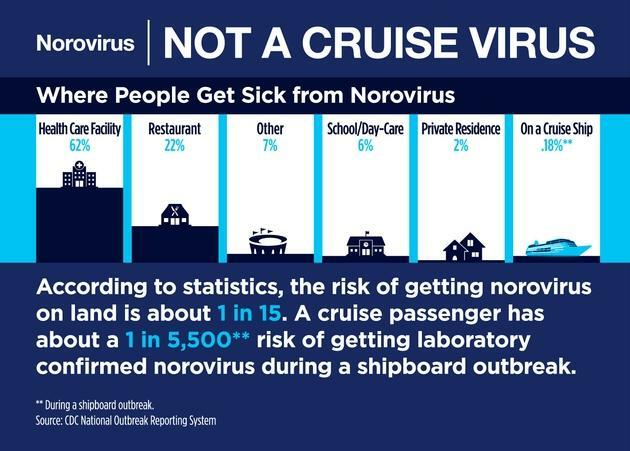 In fact, Cruise Lines International Association (CLIA) has compiled the infographic below from the CDC National Outbreak Reporting System to indicate the realities of norovirus on a cruise.